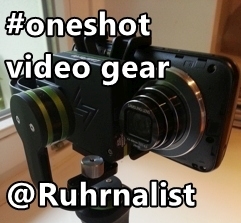 #oneshot technique is my interpretation of webvideo for news reporting. The method is surprisingly fast to produce and meets all professional requirements in terms of picture quality and journalistic standards. 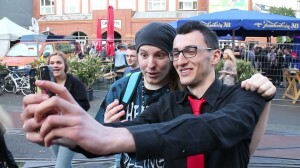 I’ll show how the industry and society can profit from quick and cheap but relevant news webvideos. #oneshot news reporting is a method to produce a proper TV or webvideo report faster than a news text report. The time consumed for the whole process is about 15 minutes (for mostly any subject of actuality). In that time span I would produce it and bring it online (given LTE or Wifi at the spot). Not included is the time for research or investigation, as it depends very much on the situation and the subject and the on-site process. 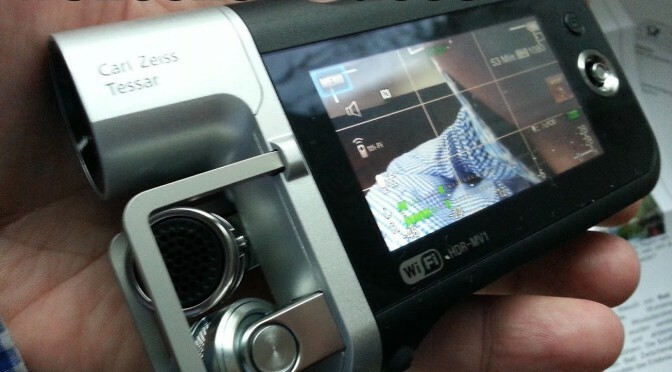 It’s a new concept of video gathering for news and final production in one step, that any reporter could learn. #oneshot reporting – what is it? #oneshot is a film produced in one continuity with live reporting by the author, as he shows relevant scenes and zooms into details and back to show the full scene while lively reporting the facts and including interview partners. 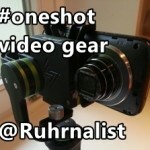 #oneshot is usually a short webvideo reportage about a lengths of a tweet. So basically less than 140 seconds or two and a half minutes. It consists of one or very few separate video clips, but with a variety of at least five to ten shots or viewing angles, live over-voiced narration and interview-statements. Using the pause button (mostly only available on android cameras) it is possible to realize a short leap in time, i.e. to jump to a nearby scene (while staying in record ready mode). Performed in that manner, the result is one file which is composed while filming with all relevant information given to the audience at the time of recording. Afterwards the file needs to be trimmed at the start and the end (which can be done either before or after uploading). Usually no other editing is made nor needed. It will be a pleasure for me. As much as you’re capable! Spread the word. Actually, it isn´t a new technic in films. Look at HItchcock´s „The Rope“. Nevertheless, I think it´s avery good idea for short web videos! In spanish it´s call „plano secuencia“ and maybe its „long take“ for english. Werner Herzog uses somehow long takes in some of his documentaries . you’re right, it’s not new to filming movies. But it’s new to news reporting.